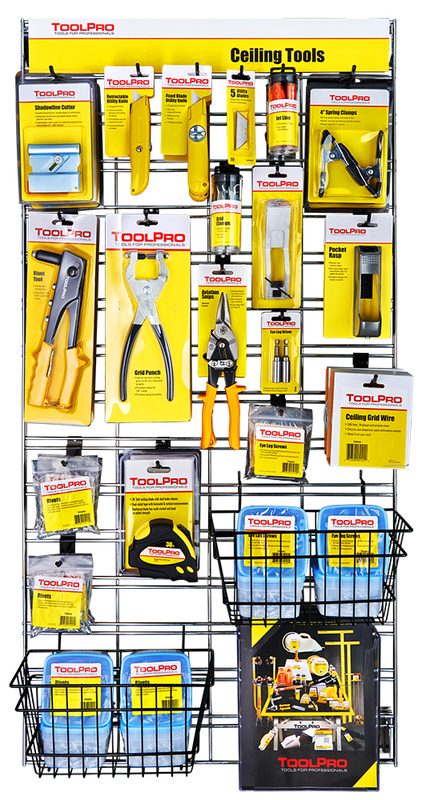 The ToolPro 2 ft. x 4 ft. Suspended Ceiling Tool Display improves the appearance of your showroom and improves sales without taking up any valuable floor space. It includes the basic tools used for installing acoustical ceilings and comes with the display grid, grid hooks, and hardware to mount on your existing slatwall. 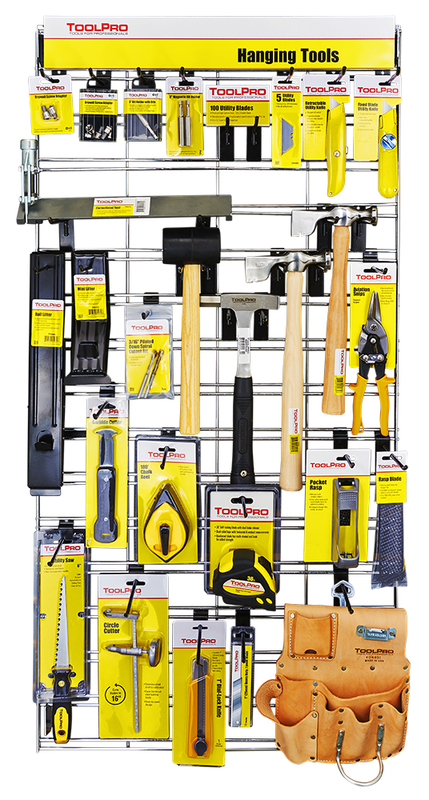 With the purchase of a display you get all of the tools and display components listed below. 1- Acrylic Brochure Holder, 8 in. x 12 in. 2- Black Wire Baskets, 6 in. x 12 in.